Pure Steel Records will reissue Artizan’s debut album Curse Of The Artizan on August 17th. 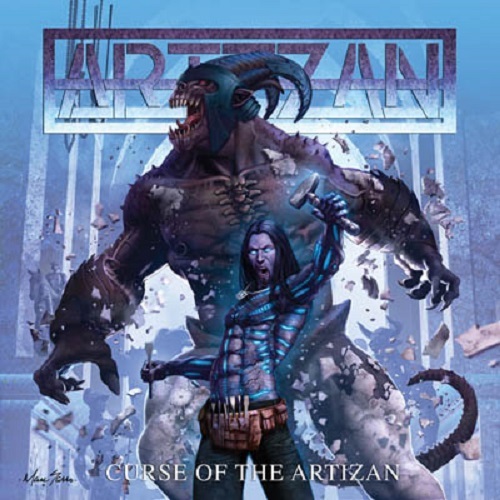 In 2011 the first complete album Curse Of The Artizan was released, which consistently continued the class of the progressive, pathos-dripping and extremely melodic US metal sound. It caused some euphoric reactions from the press and fans, because the band has a completely independent sound up to this day. With “Ancestral Energy” and “The Furthest Reaches” two more masterpieces have been released in the meantime and in this year’s August the guys around drummer Ty Tammeus are going to unleash their next strike Demon Rider. Since the debut is completely out of print, it’s time for a reissue, for the first time also officially in the US.